In a fast-changing world, our clients’ challenges quickly change and KPMG must adapt to new forms of advice to our clients. 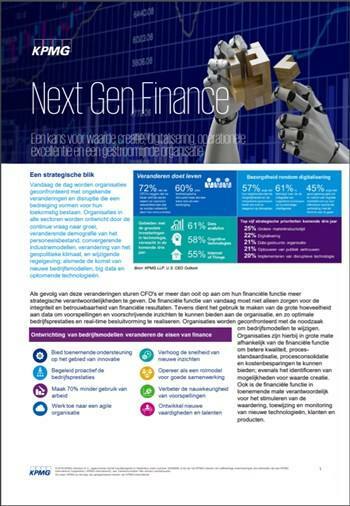 To this end, KPMG recently started a close global alliance with the FinTech AdviceRobo, with whom we will develop new products. As Business Development Coordinator you are involved in developing and executing our go-to-market strategy for our current and future products for this alliance. AdviceRobo offers solutions in machine learning, advanced analytics and behavioral economics in the field of financial risk management. There are 4.5 billion people worldwide who have insufficient or no access to loans, because they have little or no credit history. The software of AdviceRobo enables lenders to target these underserved customers and streamline their credit processes. We are a new team within a large and recognized organization, and we are dedicated to work with an entrepreneurial spirit to make our own success. We are passionate to bring new solutions to a market that is on the verge of big changes. We utilize our internal network, quickly convert ideas to products, learn from our mistakes and become best-in-class. Join us in our exciting challenge! KPMG is an international network of companies with personal attention for employees. We have a strong market position. Our people work closely together on a daily basis in a pleasant and stimulating environment where we provide services to domestic and international clients. Personal development is central to KPMG. Through targeted training, education and coaching, we help our employees to excel and get the best out of themselves. KPMG is open to all talents. With a wide range of competencies. Women and men. Young and old. Regardless of your cultural background, sexual orientation or employment restrictions. Together we take on the challenge. We offer you an excellent package of primary and secondary benefits (car, laptop, smartphone, reimbursement of expenses and a non-contributory pension), which are tailored to the latest developments in the market. Invest in yourself. Come and work at KPMG! Are you enthusiastic about this vacancy and do you want to contribute to our customers and invest in your growth? View our application procedure or apply immediately! You will receive a response from us within two weeks. 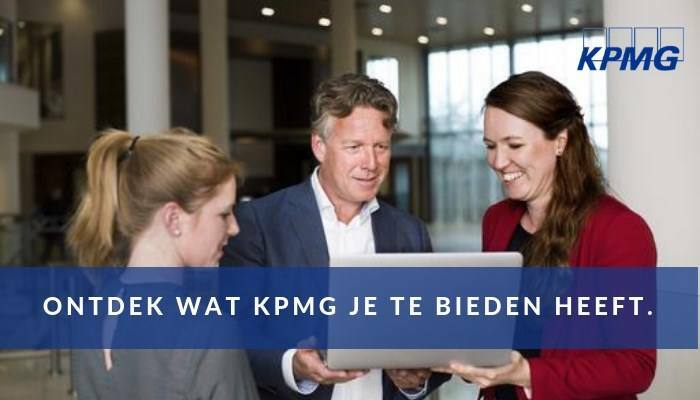 Please send your application for Business Development Coordinator – KPMG Alliance with AdviceRobo at KPMG in Amstelveen including your CV via our website.